Available Now for TRAINZ 2012 only! 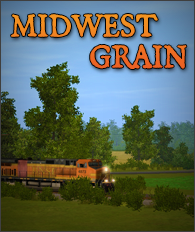 Midwest Grain is a FREEWARE route that will be expanded in multiple sections. Look for the following content in this pack. Route is available in the Routes Section.